Gascoignes Commercial Offices to let and for sale | 188 High Street Ripley offices for rent. 188 High Street, Ripley, Woking. GU23 6BD. 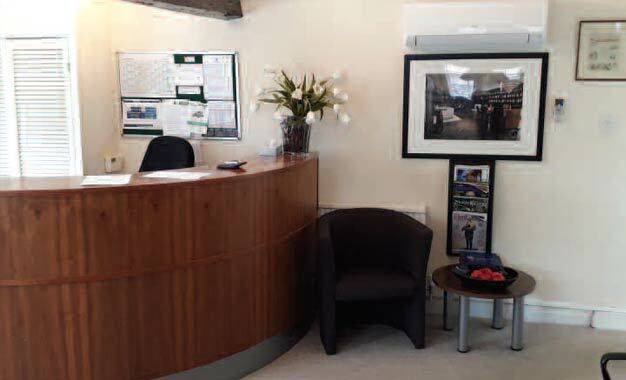 The available offices are arranged in 2 x separate sections at first floor level and comprise attractive `older style` offices that benefit from good natural light and period features being located in the heart of Ripley Village. The premises are situated above `Seymours` Estate Agents in the centre of Ripley fronting the London to Portsmouth Road and are thus well located for access to Guildford and central London via the A3. Shops, Restaurants and Pubs are located close-by. Main line rail services are available at nearby West Clandon and East Horsley, both of which provide a commuter service to London (Waterloo). More frequent services are available at nearby Byfleet and Woking.